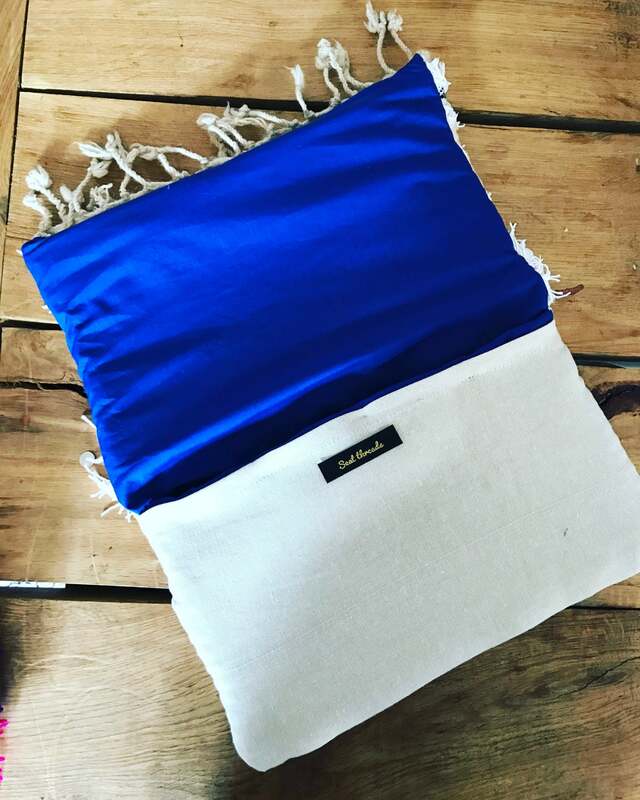 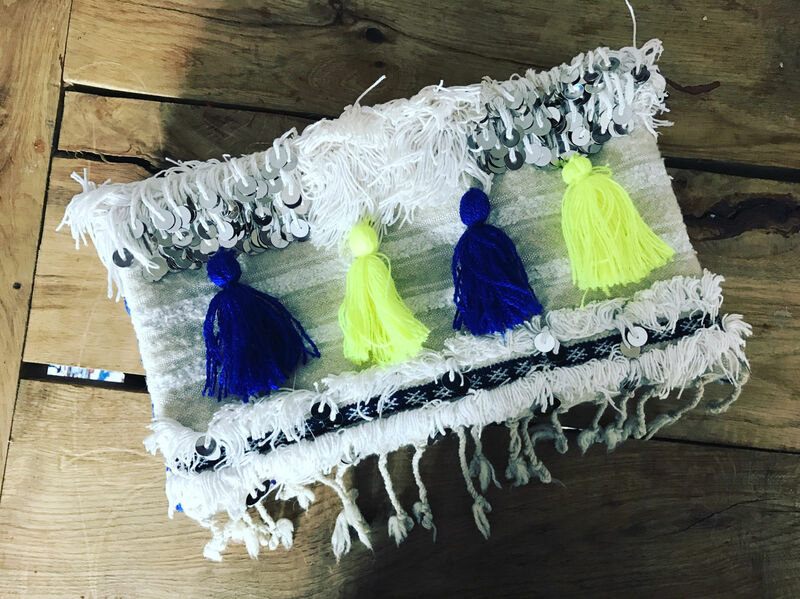 Very cool and unique large clutch bag made from a vintage Handira Moroccan Wedding blanket purchased in the souks of Marrakech. 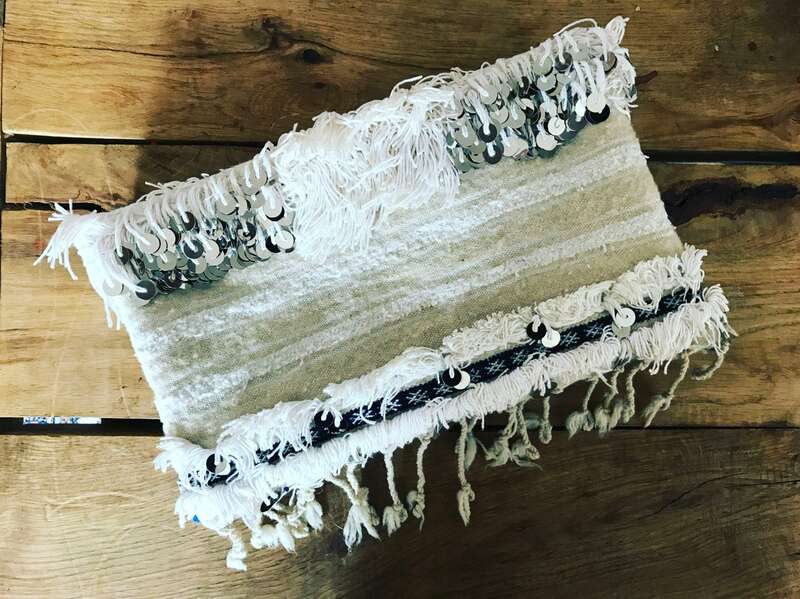 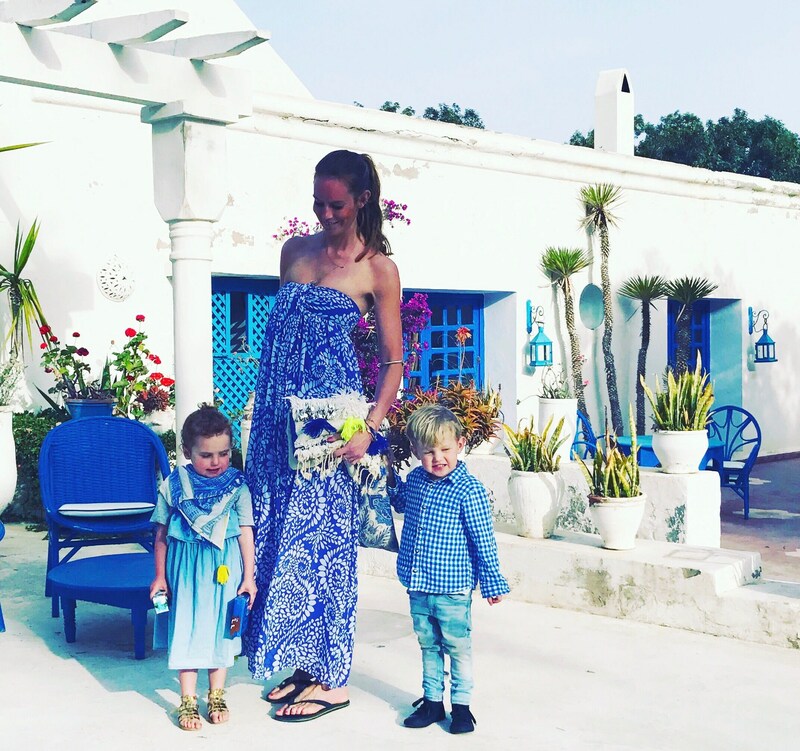 The bag is made using an antique and original Handira, embellished with silver metal sequins. 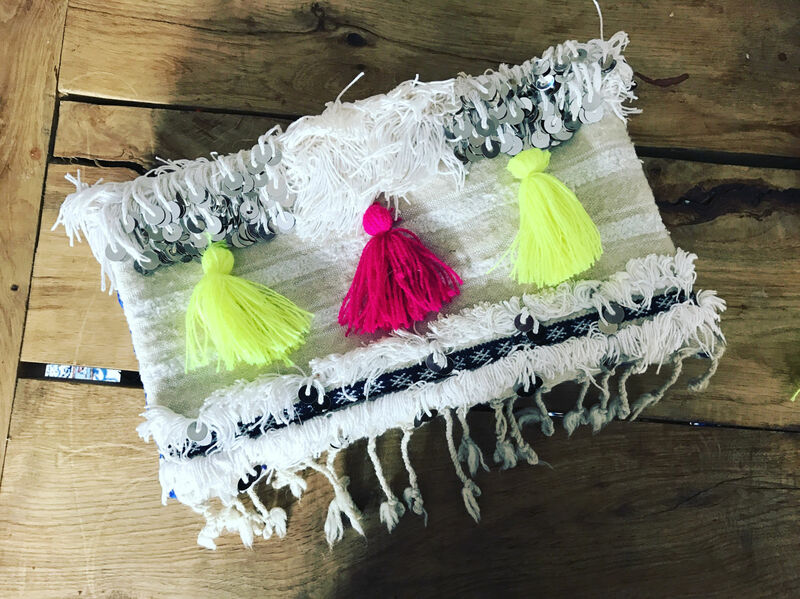 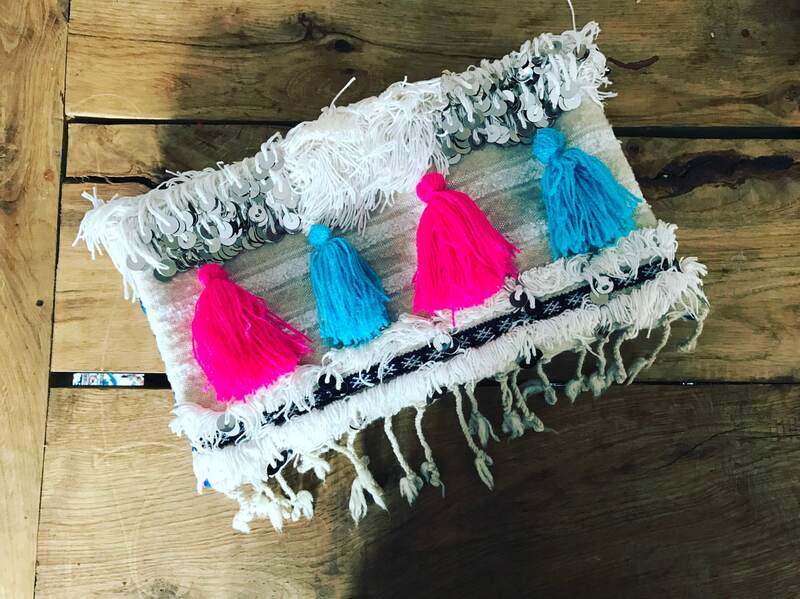 The bag is finished with your choice of handmade colourful cotton tassels.